one in a million story with AncestryDNA. Uncover your ethnic mix, discover distant relatives, and find new details about your unique family history with a simple DNA test. Read about some real-life discoveries. Learn how AncestryDNA has helped people see themselves in a whole new way. Isabel Rojas always identified with her Bogotá roots. But her DNA results took her ancestry to unexpected places. When John Danby took an AncestryDNA test he hoped for some answers. He got generations of them. Lehan Crane received a kit as a present. He never expected it would open a whole new chapter in his life. Family history is in our DNA. See what happens when the most advanced DNA technology meets the world leader in family history. AncestryDNA is a cutting edge DNA testing service that utilizes some of the latest autosomal testing technology to revolutionize the way you discover your family history. This service combines advanced DNA science with the world’s largest online family history resource to predict your genetic ethnicity and help you find new family connections. It maps ethnicity going back multiple generations and provides insight into such possibilities as: what region of Europe are my ancestors from, or am I likely to have East Asian heritage? AncestryDNA can also help identify relationships with unknown relatives through a dynamic list of DNA matches. Your AncestryDNA results include information about your ethnicity across 26 regions/ethnicities and identifies potential relatives through DNA matching to others who have taken the AncestryDNA test. Your results are a great starting point for more family history research, ‪and it can also be a way to dig even deeper into the research you’ve already done. AncestryDNA is the leader in DNA testing for family history and includes more than a million people who have taken the AncestryDNA test as well as the ability to access Ancestry, the world's largest online family history resource, which includes millions of family trees and over 15 billion historical records. Your AncestryDNA test results will normally take about 6-8 weeks to process from the time that the lab receives your DNA sample. Please note that you must also activate your DNA kit online in order to begin processing. Your privacy is very important to us and we are committed to protecting your DNA. For more information on privacy at AncestryDNA, please review the AncestryDNA Privacy Statement. For a more general discussion of privacy on the Ancestry family of websites, see the Ancestry Privacy Center. 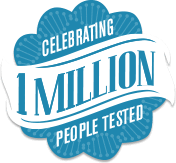 The AncestryDNA test uses microarray-based autosomal DNA testing, which surveys a person’s entire genome at over 700,000 locations, all with a simple saliva sample. Additionally, the new online interface integrates state-of-the art tools for you to utilize your DNA results for family history research. Yes, both women and men can use AncestryDNA since we all carry the DNA that is being tested. In fact, men and women are tested in the same way for the same number of markers. Unlike some other DNA tests, which only analyze the Y-chromosome (and can only be taken by a male to look at your direct paternal lineage) or mitochondrial DNA (can be taken by a male or female but only looks at your direct maternal lineage), AncestryDNA looks at a person’s entire genome at over 700,000 locations. I was born in NYC, the youngest of 5 kids. My parents and three older siblings were born in Bogota, Colombia. My family migrated to NYC in the late 70’s looking for a better life. After my brother and I were born in the early 80’s my parents had begun to realize what a dangerous city it was at that time and decided to head back to Colombia. They worked hard to build a 3 story building where we would live, work, and rent out space. It was a 3 year process. But sadly Colombia at that time was worsening. Bomb threats throughout the city and in front of our new building became too much for my family. We made the trip back to NYC and a year later drove to Salt Lake City where we have lived for about 27 years. People look at me and often wonder what I am. People look at me and often wonder what I am. It is often both entertaining and frustrating when people attempt to find out where I am from. My name implies Hispanic/Latino and considering that is the largest ethnic/minority population in Utah it’s a pretty safe guess. However, when I’m with my Polynesian friends people think I’m Hawaiian or a mix of Polynesian and something else. In fact in high school I MC’d a Polynesian dance group because I could pull off the look. When I travel my friend have told me that they like having me around because I blend in just about anywhere. I recently attended a Nepali church service and had a few people ask me what part of Nepal I was from. It’s fun when people assume I am from a different culture/heritage then I am. And I have to admit it’s kind of entertaining watching people try to skirt around the inquiry as to where I am from. I identify myself as Colombian, But the sad thing is that when I go to Colombia some family members consider me North American because I was born in the U.S. However, in the U.S. I am defined as Hispanic/Latino in just about every form of paper work I fill out, by associates, friends, and strangers. I often weave in and out of the wonderful experience of growing up straddling two worlds and cultures and the feeling of being neither from here nor there. There is a constant pull between how other identify and define me and how I chose to define and accept myself, my heritage, my culture, and the unknown history that somehow contributes to who I am. As my dad and I have begun to explore our genealogy the past 7 years or so, we’ve found that our family is largely from Spain which is no big surprise. My mom is white; her mother was also fair skinned with grayish blue eyes. Some of her cousins that live in Colombia are blond and blue eyed. But that isn’t rare in Colombia, let alone south/central america. Colombians have a wide range of ethnicities and consequently a lot of racial discrimination. The Spanish influence is very much present and often people can easily say how many generations back are from Spain. My dad also suspects we have German ancestry somewhere back there. I received an AncestryDNA kit a few years ago for my birthday. My friend knew I had been working on family history and thought I should give it a shot. Since then I’ve had my mother and grandmother on my fathers side tested as well. What surprised me the most in my results was that I’m 35% Native American, 5% African, and 29% from the Iberian Peninsula. This has drastically broadened the way I think about my identity and heritage. I feel a sense of connectedness with those areas of the world now and am now anxious to dig deeper and see how far back our records can go. In a less personal sense, I feel like information like this can have a great influence on how people think and treat each other. My grandmother, who took pride in being of “pure blood”, meaning Spanish, would have completely rejected the notion that I’m 5% African, and likely would have blamed it on my father’s side. There is great power in understanding our deepest heritage and history and in giving ourselves permission to connect with others through that heritage and knowledge. Its liberating in many ways. Like many who work on their family history, our family had a few lines where we were really struggling to find more information. My 2nd great-grandfather was a mystery ancestor on one of those lines. We could not pin him to a specific census, nor could we find any information about his arrival in the United States. We did however believe he came from Jewish descent. With this DNA cousin match, we’ve been able to add a generation to our family tree. Shortly thereafter, we were contacted by another Ancestry member who used the AncestryDNA kit. He was the descendant of our mystery ancestor and as it turns out, was the 2nd cousin once removed of my father. He was able to point us to the correct 1860 census for the family where we were able discover other family members, and we should now be able to trace their family back to France. So with this DNA cousin match, we’ve been able to add a generation to our family tree, as well as identify several siblings and their spouses. For immigration research, it’s so much easier to find a town of origin when you’re looking at an entire family who came over rather than just one individual, so I’m really excited about the prospects. In December of 2012 I received an AncestryDNA kit as a gift from my brother-in-law who was hoping to help me learn more about my roots as I was adopted. More recently, an Ancestry employee was describing the AncestryDNA test to a potential investor and suggested he take the test to experience it. He did, and when his test results came back he was surprised to discover he was related to me either through a grandfather or great-grandfather. He did not recognize my name and when he shared the results with his father Greg, Greg was inspired to take the test as well. Greg's results indicated that I was a possible first cousin, and so he sent me a message. In May of 2014 (less than two years after taking my own test), I received that letter from Greg. We eventually confirmed that we were half-brothers. While Greg's father was my father as well, my birth mother was in her early 20s when she was pregnant with me and had not informed my father. Within days of Greg’s letter, I discovered my half-brother and half-sister that I had never met. Unfortunately, both of my biological parents have since passed away. But instead, I now have connected with my half-siblings Greg and Carole, his half-nephews and niece (Greg’s three sons and daughter), and their families. I’ve had the most heartwarming embrace from my new brother, sister, and their kids. This has opened a new chapter in my life—and it is a most welcome "life interruption." I look forward to meeting my family in person in December 2014. Meet the AncestryDNA science team. Our team of expert population geneticists, statisticians, data scientists, engineers and molecular biologists are working with the latest technological advances to bring you some of the most powerful tools in genealogy research.